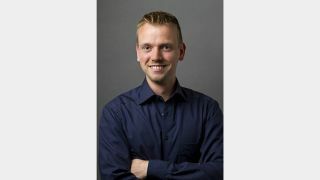 Biamp Systems’ applications engineer Marco Hendel is one of the six finalists selected for this year's European CTS Holder of the Year award. InfoComm International, together with the AV Awards judges, will honor one CTS holder that has made extraordinary contributions to their business/organization and to the European AV industry, displaying noteworthy leadership and initiative. Hendel is a trained information electronics engineer and has been a member of Biamp Systems' international applications engineering team for more than five years, providing extensive technology support, product training, and webinars to the company's European customers. With more than 10 years of experience in the AV industry, he also has a deep working knowledge of professional audio installations, voice evacuation systems, and low-latency media distribution that enables him to provide multi-disciplinary leadership. "My CTS certification allows me to continue building upon my AV knowledge base and help customers solve problems as technology advances at an accelerated rate," said Hendel. "In addition to providing me with a solid AV foundation, the education I have gained through my CTS certification has boosted my project management, troubleshooting, and general communication practices that are critical to successful AV installations. I'm honored to be a finalist."